Bologna offers incentives for walking and cycling include beer, ice cream or cinema tickets. In the Italian city of Bologna, people are rewarded for cycling, walking and taking public transport. Bella Mossa (Italian for “good job”) is the brainchild of urban planner Marco Amadori. The anti-pollution scheme aims to reduce car journeys and boost “green” travel with incentives like beer, ice cream or cinema tickets for participants who complete eco-friendly walks and rides. Inhabitants of Bologna can download an app which uses GPS tracking to record their journeys. Each walk or trip by bike or bus earns points, which can be built up and exchanged for goods and services at local businesses that have signed up to the scheme. “The system of point collection is based not on the distance you travel but on a single trip, because it’s important that even for short trips of 1km you do it in a sustainable way,” Marco Amadori told the BBC. Bella Mossa has proved popular and there is talk of extending the initiative’s four-month operating period. The app allows a maximum of four trips to be logged each day, to encourage people to use the scheme over time and help make travelling around the city more sustainable. Vehicle emissions are damaging to the environment and our health. According to the annual State of Global Air Report, published by the Health Effects Institute, more than 95% of the world’s population is breathing dirty air, leading to health problems including lung disease, cancer and heart attacks. Air pollution is the fourth biggest cause of premature deaths globally, with the developing world worst affected. 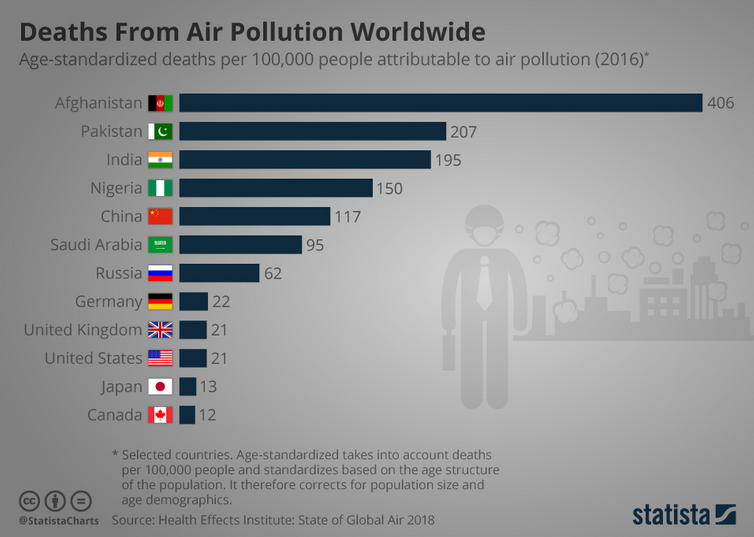 The highest numbers of total deaths linked to air pollution are in China (1.58 million) and India (1.61 million), due in part to their large populations. But when measuring death rates per 100,000 inhabitants, Afghanistan, where air pollution is caused by burning solid fuels for cooking and heating, fumes from generators and vehicle emissions from traffic-clogged roads, comes off worst. Tougher emissions controls have curbed pollution levels in some developed countries. China has also imposed stricter rules on air pollution in recent years. United Nations figures show that cities account for just 3% of the Earth’s surface, but consume 60-80% of the world’s energy and generate 75% of all carbon emissions. As part of its Sustainable Development Goals programme, the UN aims to reduce the adverse environmental impact of cities, including air pollution, by 2030. In addition to imposing tighter regulations on polluters, city planners and policy-makers are turning to “nudge” initiatives to encourage people to behave in more eco-friendly ways. Bike-sharing schemes have appeared in many cities to encourage motorists to leave their cars at home. In 2018, there were an estimated 18.2 million bicycles available for public use around the world. Alongside investment in new cycling lanes and infrastructure, such schemes reduce emissions and traffic congestion, while also improving people’s health. While adopting more environmentally behaviour is important, change needs to be supported by planning and infrastructure policies. The World Economic Forum’s Cities and Urbanization research highlights the need for cities to become better at managing resources and protecting the environment.